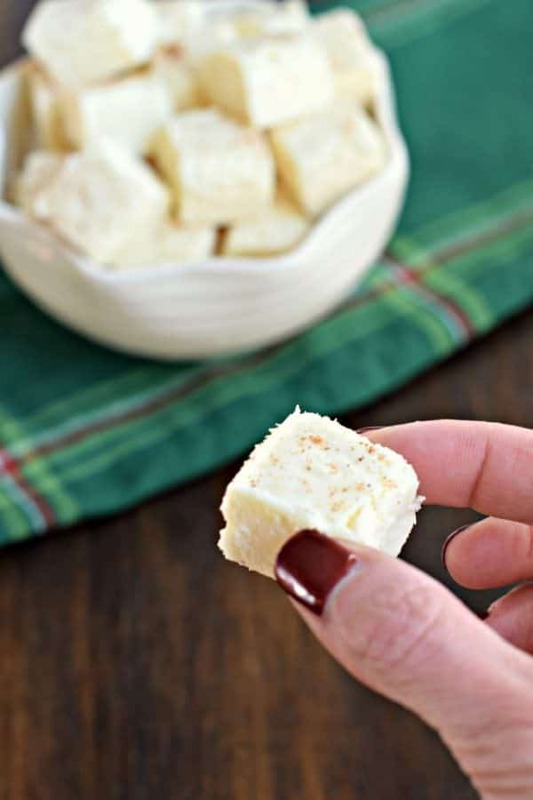 Eggnog Fudge is a better choice for your family cookie exchange. You’ll stand out because it’s awesome, and it’s NOT a cookie! Everyone does a cookie exchange this time of year, am I right? You go to someone’s house, you bring a designated sized batch of cookies (maybe 3 dozen), then you bring home a mix of 3 dozen cookies. While the party itself is usually fun, hanging with friends and drinking wine or holiday punch, the cookies can be everywhere from delicious to disgusting. I’ve brought home some that I just can’t eat, no matter how much dunking I do in my coffee. I think it’s because in my family, we have certain flavors of Christmas cookies we enjoy every year. It’s hard to veer off the well traveled path of cookie eating. And one man’s Gingerbread cookie, is another man’s trash. You know what I NEVER get sick of though? Candy. Fudge, to be exact. You can’t go wrong, and the flavors are endless. Instead of sending my neighbors off with a plate of cookies, I make an assortment of fudge. I usually like to make about 6 different flavors and give a variety to people. And, because I always have some in my refrigerator, I have some ready when neighbors I rarely speak to show up with a plate of cookies! Do you love Eggnog? My family is a mixed bunch, some on team eggnog and some against it. Personally the creamy thick drink is a favorite of mine over the holidays. But sometimes, a big cup is too much. Which is why this fudge is PERFECT. Today’s Eggnog Fudge is delicious. Similar to these Eggnog Truffles, these creamy bites of fudge are the perfect treat for the holidays! Packed with eggnog flavor, these are for the true eggnog fans! Each pan makes about 64 pieces, so there is plenty to share! Also, no candy thermometer needed for today’s fudge recipe. That makes it a win in my book! My favorite recipes of fudge includes this Gingerbread Fudge, a classic Chocolate Fudge, Butterscotch Fudge, Butter Pecan Fudge, and so much more! I may even make a batch of English Toffee or Saltine Toffee to add to the candy plates! You may also LOVE this Candy Cane Fudge for the holidays. Such a delicious treat, and kids love it too! If this sounds delicious to you, keep on reading! First, line a 9 inch square pan with parchment paper or aluminum foil. Set aside. In a large mixing bowl, add the marshmallow cream, white chocolate chips, nutmeg, and rum flavoring. Set this aside. In a large saucepan, melt butter with sugar, eggnog, and kosher salt over medium high heat. Bring this to a boil, stirring occasionally. Boil for a full 4-5 minutes, while stirring. Remove from heat. Pour butter mixture over the marshmallow creme ingredients. Using an electric stand mixer (with whisk attachment) beat for about 1 minute, until smooth, and white chocolate has melted. Immediately pour into prepared baking dish and sprinkle with nutmeg. Allow to set for about 3 hours. Cut and enjoy! Most fudge recipes can be stored in an airtight container at room temperature. This allows them to stay soft and not dried out. I prefer to not cut my fudge until ready to serve, and I only cut what I need, storing the rest for later. 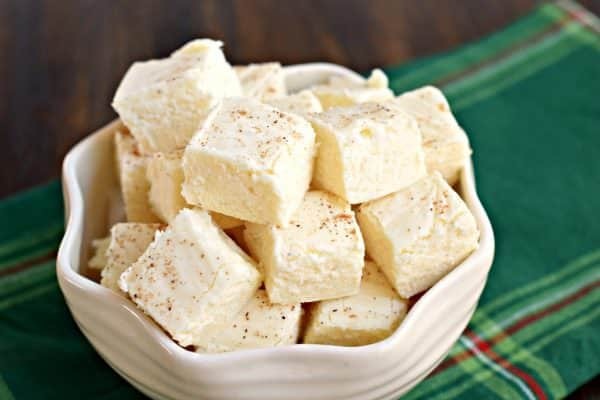 This egg nog fudge can be stored in the refrigerator, for a chilled texture. I love it cold! YES! The best way to freeze fudge is to wrap it in foil if you are going to store it for any length of time more than a month. Then put those wrapped individual slices into a zip lock freezer bag. That way, you can take out a slice at a time whenever you may need it. To thaw fudge, you should let it stay wrapped and thaw it in the refrigerator slowly. That way the condensation will be less likely to form on the fudge. Looking for more Eggnog recipes? 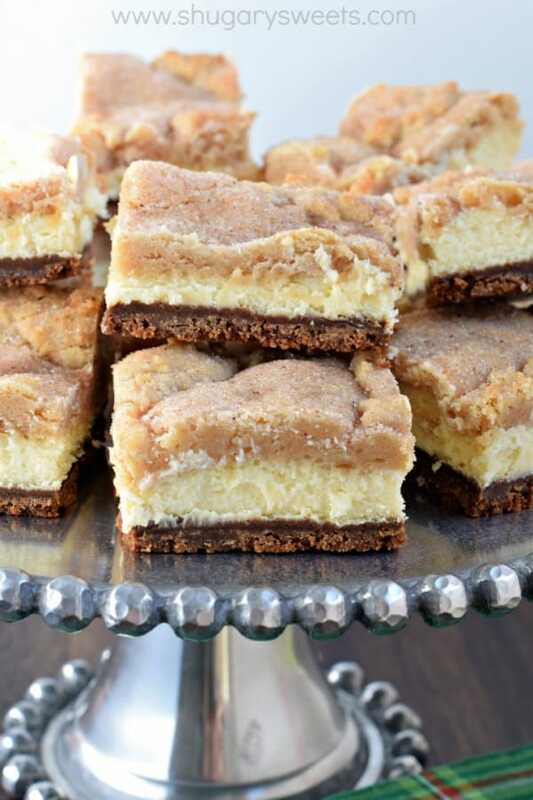 Layered Eggnog Cheesecake bars with a gingersnap crust, creamy cheesecake filling and snickerdoodle cookie topping! This is the ultimate dessert recipe, and it’s easy enough to make! This Eggnog Cheesecake Cake is holiday perfection. 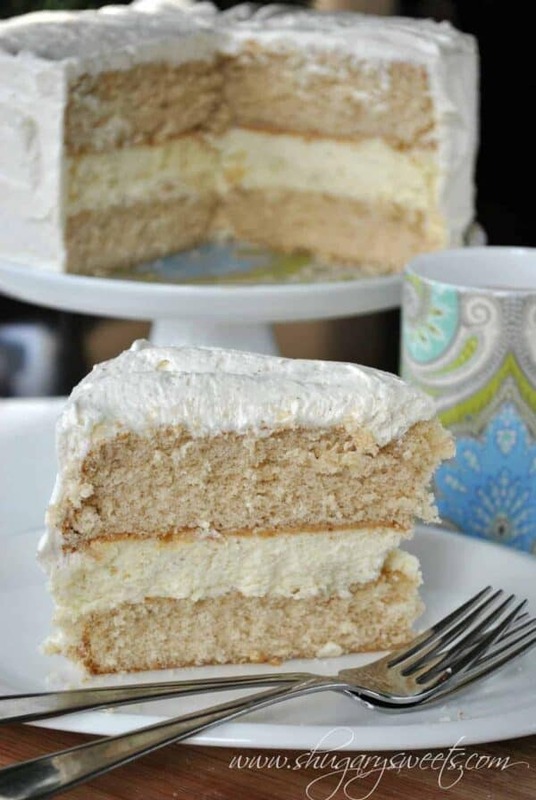 Layers of homemade spice cake with a creamy eggnog cheesecake center. All topped with a delicious eggnog frosting. Looking for the perfect Christmas morning breakfast? 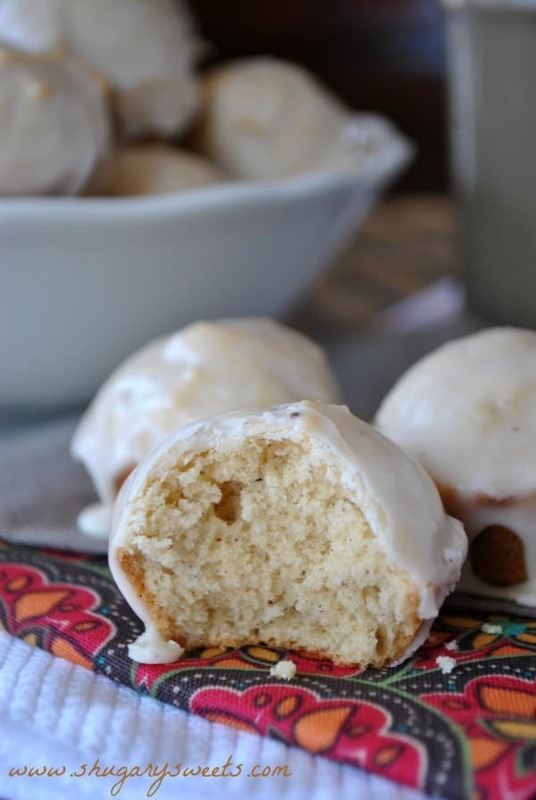 These Eggnog Donut Muffins are bite size holiday treats! Line a 9-inch square baking dish with parchment paper. Set aside. Prepare your mixing bowl by adding the marshmallow cream, white chocolate morsels, nutmeg, and rum flavoring. Place these ingredients into the mixing bowl and set aside. In a large saucepan, melt butter with sugar, eggnog, and salt over medium high heat. Bring to a boil. Stirring continuously, boil for a complete 4 minutes (rolling boil). Remove from heat. Pour mixture over ingredients in mixing bowl. Using an electric mixer with whisk attachment, beat on medium until smooth and white chocolate is melted (about one minute). Pour into prepared baking dish. If desired, sprinkle with extra nutmeg for garnish. Allow to set for about 3 hours, or overnight. 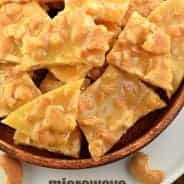 Remove parchment paper and cut into bite sized pieces. ENJOY. To store, keep in airtight container at room temperature for up to two weeks. Eggnog and fudge…two of my favorite holiday things in one. Love it! Oooo these look good. I’m already planning on making your eggnog truffles though, so I might have to save these for next Christmas 🙂 Ty for the recipe! I would have loved to look at other recipes BUT The pop up ads are killing me! I can’t read through the recipes without them popping up repeatedly! Please reconsider your ad location. The bottom Would be better and I would have stayed and looked around your site more. would have loved to try this recipe, but way too many ads 🙁 couldnt get anywhere…. Tried this recipe twice , tastes good but the consistency is more like taffy and it won’t set, no matter how long I leave it, well enough to cut into pieces. It’s just very sticky. 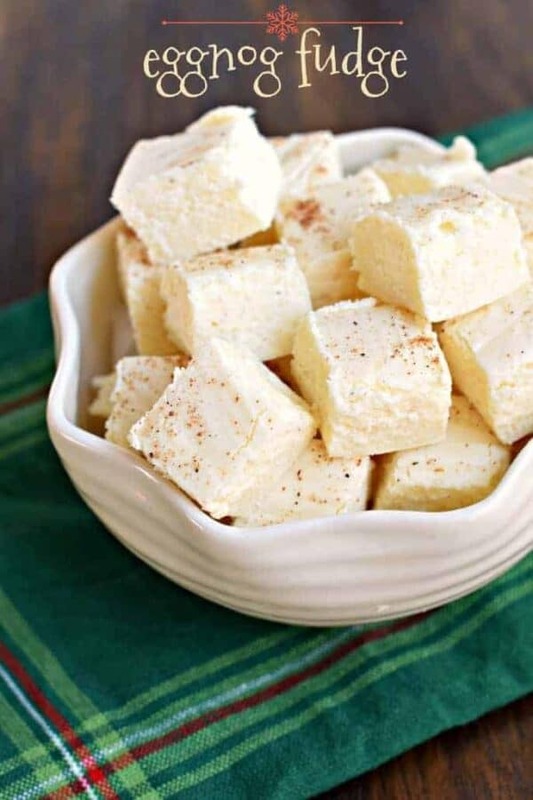 How do you get the recipe for the Eggnog fudge? After several hours..still not set ..too soft…taste good but not hard enough to cut??? 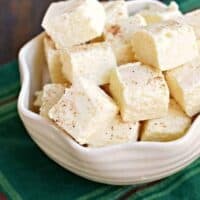 I made your eggnog fudge recipe yesterday and it turned out wonderful. I didn’t have rum extract, and substituted with Captain Morgan spiced rum. I also used freshly grated nutmeg, which gives it a delightful fresh taste. This will be in my xmas cookie exchage next month. Thank you for your great recipe. This is the perfect holiday treat! We love fudge over here! Two holiday favorites combined into one! I can’t wait to try this! I can always count on you to have the most delicious seasonal recipes! 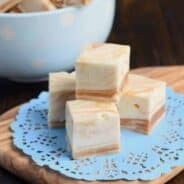 This eggnog fudge is incredibly good. Looooove this! I’m practically obsessed with eggnog and in fudge form it’s pure heaven! You have such a fabulous collection of eggnog recipes. 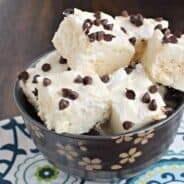 I can’t wait to make this fudge! This fudge is the perfect holiday treat!! So delicious! It’s very hard to buy marshmallow in a jar here – can I substitute it, would normal marshmallows still work? No ingredient list or amounts. Can I double this recipe in a 9×13 pan? Will it turn out the same? I usually try to avoid doubling my fudge recipes as I find the consistency just never seems right (don’t know if it’s the boiling time or what that needs to change). I would suggest maybe just making two batches. This is so very yummy!!! Thank you! As noted above the fudge is soft. I did two batches and both were the same. I even used a candy thermometer. After looking at the problem I decided to cut it squares. Then I put a rack under it and inverted it on a tray. I then separated all the squares upside down and it is setting just fine. After making it this holiday season again, I’m finding different brands of egg nog are making a BIG difference. Try to use the thickest, highest fat content egg nog you can find in the stores. No low fat or off brand seems to work, as it tends to not have the fat content this needs.